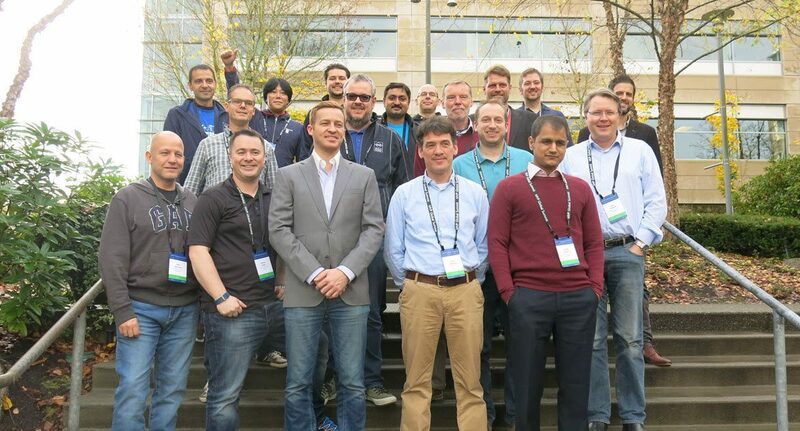 This week the MVP Summit 2016 has taken place in Redmond/Bellevue. Although I have been awarded the fourth time as MVP, this was my second MVP summit. MVP’s from all over the world on all award categories are collaborating and attending technical settings. This year we had a record number of 18 (eighteen!) “AX MVP’s”. It was nice meeting all of them. These persons are: building communities, writing blog posts, answering questions on forums, present as speaker on local and global events, writing books and more as volunteers. In summary: They all share their knowledge in advantage of the community (users, consultants, developers, project managers). The program related to Microsoft Dynamics 365 for Operations (aka Dynamics AX/AX7) was intensive. We were allowed to have a look in the future, but also learned more about the current plans which are already announced. These sessions were great. We now know better the thoughts and architecture of having the Dynamics 365 packages and advantages of the cloud. We also provided valuable feedback to Microsoft related to certain topics. As MVP, we also participate in real-life implementations and know your questions and thoughts. We acted as ambassadors to improve the products and also Lifecycle Management Services.